A skin cream used to treat cancer in people has been linked to five dog deaths, according to the U.S. Food and Drug Administration. The agency is warning pet owners who have this drug -- known as 5% Fluorouracil cream USP (or 5-FU) -- to use care while storing and using the topical medication. The skin cancer cream is dangerous to pets in even the smallest amounts, the FDA warns. 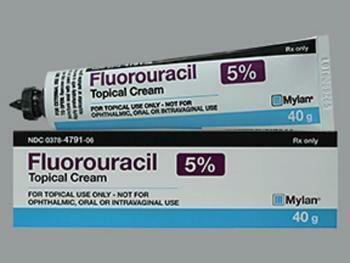 In one recent case, two dogs died after having simply punctured a tube of fluorouracil. Shortly thereafter, they began vomiting and having seizures. Twelve hours later, the pets died, reports NBC News. Fluorouracil is a topical chemotherapy drug used to treat precancerous sun-damaged skin as well as some basal cell skin cancers, according to the American Cancer Society. It is also sold under the names Carac, Effudex, and Fluoroplex. Although no reports of cats suffering adverse events after being exposed to the medication have surfaced, the FDA says felines are also likely to be extremely sensitive to the drug. While cats may be unlikely to sink their teeth into a tube of the medication, they can be poisoned in other ways. For instance, if you apply the cream and then touch your cat, the cat may ingest the medication when grooming itself. Store fluorouracil and all other medications where pets can't get to them. Safely discard or clean any cloth or applicator that may contain medication. Don't leave any residue of medication on hands, clothing, carpeting or furniture. If your pet is exposed to fluorouracil, contact a veterinarian immediately. If a pet shows signs of medication exposure such as vomiting, seizing, or other illness, seek immediate veterinary care and be sure to provide the details of the exposure.